Filed to: Trying Science!Filed to: Trying Science! Never done it all by myself before. Nor done the wrappers from scratch. Food Kitty doesn't have plain ground pork, but they have johnsonville mild sausage, and I have Kale if there isn't enough pork for my Bottomless Pit of a human. Not that he likes kale. This is what he gets for making me do the shopping. Kale. Lots of kale. Kale heaped high and green and fluffy in a bowl, and kale densely packed in a crispy on the bottom, tender-chewy on the top dumpling. Heh. I'm so mean. 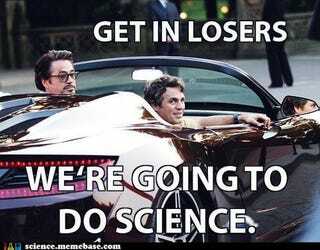 Side note, I'd get in the car to do both science and them. For science!